Billings Boats BIL498 HMS Victory Galleon 1/75 scale wood ship kit! 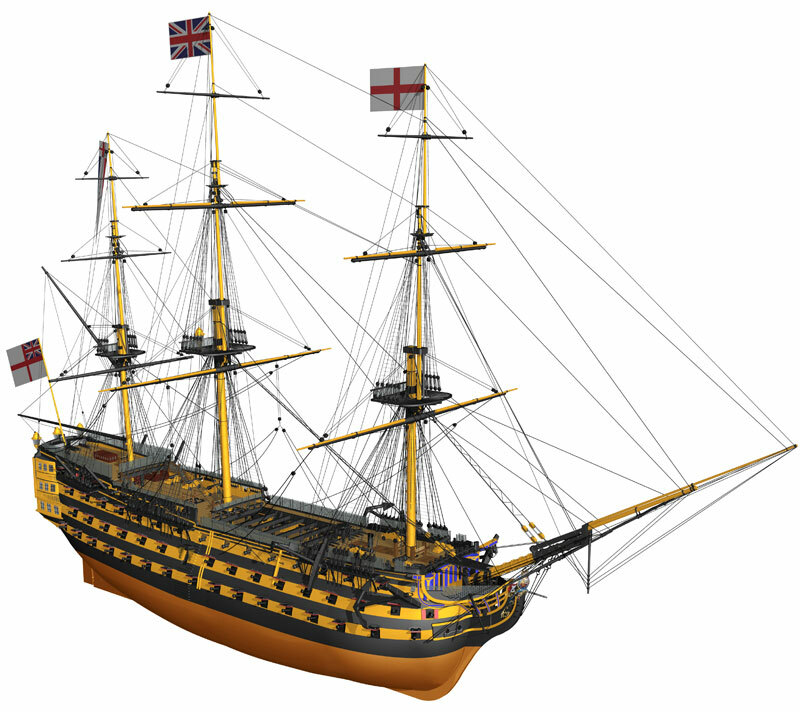 HMS Victory was launched in 1765 at Chatham Dockyard and was commissioned in 1778. She continued in active service for the next 34 years which included her most famous moment “the Battle of Trafalgar” in 1805. In 1812 the Victory was retired from frontline duty and anchored in Portsmouth Harbour, on the south coast of England. For the next 110 years the Victory remained at her moorings in Portsmouth Harbour fulfilling a combination of practical and ceremonial roles. In 1922, amid fears for her continued survival, the Victory was moved into Portsmouth’s Royal Naval Dockyard and placed in No2 Dry Dock. Her Majesty’s Ship Victory is the only surviving naval warship that represents the skill of naval dockyard shipwrights, ship designers and the industrial ability of Britain during the mid 18th century.